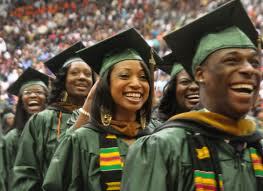 Florida A&M University has just launched the inaugural cohort of the Medical Scholars Program for fall 2013. With the exciting and excellent start of this cohort, so follows the preparation and recruitment of the next cohort for fall 2014. If you know of a particularly talented/intellectually-gifted high school senior intent on attending Florida A&M University and subsequent medical school, please contact our office. The Medical Scholars Program at Florida A&M University provides a specialized four-year curriculum in pre-medical biology or pre-medical chemistry. Some applicants will also receive a provisional acceptance into the Charles E. Schmidt College of Medicine at Florida Atlantic University. This program is for incoming fall 2014 freshmen only. We are seeking students with a minimum 3.50 un-weighted high school GPA, 1800 or better SAT score or 27 or better ACT score. Application packets are updated annually and only available from our office. If you have questions or interest, please contact our office at (850) 599-8503 ormichael.smith3@famu.edu.